Throne Bet – ThroneBet, along with PlayMaster Bet and SokaBet are three new operators setting foot in the ever saturating online betting landscape in TZ – they are working hard to belong to the established brands in the market. They might be worth a try! Premier Betting – Premier Betting is a Tanzanian sports betting provider, based in Dar es Salaam, operating betting shops in Dar es Salaam, Mwanza and Arusha. M-Bet – Tanzania’s first mobile betting operator, registered and licensed in Dar es Salaam. M-Bet offers the following games in the Champions League, Premier League, Liga BBVA, Bundesliga, Serie A and Ligue 1: Normal, Handicap, 45 minutes, Results Normal, Results Handicap and Results 45 minutes. They accept M-Pesa and Tigo Pesa wallet payments. TBet Tanzania – as of 2018, tbet.co.tz is the celebreated newcomer by punters in Dar es Salaam. They offer an easy-to-use mobile website and good odds on a number of markets. sportpesa is the best betting operator (not only in Tanzania but in other African countries, too) when it comes to football jackpots – even though the games they put in their are hard to guess to most people – otherwise, a lot of Tanzanian bettors would be jackpot millionaires by now, wouldn’t they? FastBet – Founded in 2015, FastBet.co.tz is Tanzania’s new betting platform, run by the well-known Las Vegas Casino. Check out FastBet’s facebook fan page for news & infos. mkeka bet is the “both teams to score” specialist. If you are into GG, go for it! Their odds are looking good! bikosports is a simple-but-good betting site. Nothing more and nothing less than you can wish for: bet on soccer and basketball in the most important countries of the world. 888 Sports betting – Founded in 1997 and based in Gibraltar, 888.com covers a wide range of high-profile interactive gaming websites. 888sport.com is their online sports betting division, offering reasonable odds. Worth trying! Sky Bet – acquired in 2000, SkyBet is the sports betting division of Sky Betting and Gaming (British Sky Broadcasting), based in the United Kingdom. Bet on the latest odds with SkyBet, including live in-play betting on all major sports. New to Sportingbet? Bet £5 and claim your £20 bonus now! 188 Bet – Founded in 2006, 188bet.com is an online sportsbook provider. 188BET is owned by Cube Limited, which is licensed and regulated by the Gambling Supervision of Isle of Man. Bet Fred – Founded in 1967, named after its founder Fred Done, BetFred is a UK-based bookmaker. BetFred offers good odds, and accepts Tanzanian bettors on its website. Ladbrokes – Founded in 1925, Ladbrokes Plc is a London-based gaming company. Apart from being one of the oldest operator of high street betting shops in the UK and Northern Ireland, it also offers a wide range of excellent online products. William Hill – Founded in 1934, William Hill Plc is not only one of oldest but one of the largest bookmakers in the United Kingdom. Bet Fair – Founded in 2000, based in West London, England, BetFair.com is the world’s largest Internet betting exchange. UniBet – Founded in 1997, UniBet is a Malta-based online gambling company, with a significant online sports betting division. RedBet – Founded in 2002, RedBet.com is a Malta-based bookmaker, member of the Bonnier Group since 2013. Paddy Power – Founded in 1988, based in Dublin, Ireland, PaddyPower is one of Ireland’s largest betting providers, both online and offline (phone betting and high street betting shops). Sportsbet Australia – Founded in 1993, Sportsbet is Australia’s oldest and biggest online bookmaker. Since 2009, it belongs to Paddy Power. Horseplayer Interactive – HPIbet.com is a Canadian online bookmaker. bet-at-home – Founded in 1999 in Austria, bet-at-home.com is based in Germany and offers Sportsbook, Casino, Poker, Games, Greyhound race betting products online. Coral – Founded in 1926, Coral is one of the oldest British bookmakers, with over 1800 Licenced Betting Offices UK-wide. It offers an excellent online sports betting experience. 188 Bet – Founded in 2006, 188Bet is an Isle of Man-based online sportsbook provider. TAB Touch – Bet on racing and sports including Melbourne Cup, AFL, NRL, Football, Cricket and Tennis. Sign up today for safe and secure betting, expert previews, tips and for fast results and payouts. SBO Bet Founded in 2004, SBOBET.com is an online bookmaker. The website has operations in Asia licensed by the Philippines and operations in Europe licensed by the Isle of Man to operate as an international sports bookmaker. Play Now – run by the British Columbia Lottery Corporation, PlayNow.com is a highly trustable interactive gaming site, with a great sportsbook section. Pinnacle Sports – Founded in 1988, Pinnacle Sports Worldwide is one of the world’s largest, fully licensed, online sportsbooks. My Bet – founded in 2001, MyBet.com is a Malta-based online sportsbook operator. It offers wagering on American football, aussie rules, baseball, basketball, boxing, cricket, futsal, golf, handball, ice hockey, motor racing, rugby, snooker, soccer, tennis, volleyball, politics and awards. Centre Bet – Licensed in 1993, CentreBet is an Australian bookmaker licensed in the Northern Territory. bwin – Founded in 1997, based in Gibraltar and Austria, bwin.party (formerly known as “bet and win”) is the world’s largest publicly traded online gambling firm. Bovada – Live betting, sports betting & horse betting. Bet Victor – Founded in 1946, named after the company founder Victor Chandler Senior (formerly also known as VCBet and VictorChandler.com), based in London, UK, BetVictor.com is an independent bookmaker specializing in online sports betting, casino and poker. Leon Bets – Founded in 2007, based in Belize, LeonBets.com is an online bookmaker which offers wagering on American football, baseball, basketball, boxing, cricket, darts, futsal, handball, ice hockey, martial arts, motor racing, rugby, snooker, soccer, tennis, volleyball and water polo. The company claims to provide a competitive service with fastest transactions in cyberspace and a friendly 24/7 support. Sports Book – SportsBook.ag (former SportsBook.com, belonging to SportingBet) is an Antigua-based gambling website which offers sportsbook, racebook, casino and poker products online. IAS Bet – IASBet.com is an Australian sportsbetting provider. Get the latest sports and racing betting odds. Sign up with IASbet.com and claim a $100 free bet. Sports Interaction SportsInteraction.com offers live betting, racebook, casino, poker and interactive games. Stan James – Founded in 1973 in the UK, StanJames.com is now based in Gibraltar, offering sportsbook, casino and poker products online. Unibet acquired StanJames in 2015. Tipico Online Gaming – Tipico is a Malta-based online bookmaker. Bet Online – Founded in 2004, BetOnline.com is a privately held online gambling company offering sports betting, casino games, and wagering on horse racing. BETDAQ – Founded in 2000, BETDAQ is an Alderney-based online sports betting provider. It’s the second largest online betting exchange company in the UK and the largest betting exchange technology provider in the world. Lux Bet – LuxBet.com was an Australian online bookmaker which provided racing, sports and novelty betting options on horse racing, harness racing, greyhound racing and feature racing, American football, Australian rules football, baseball, rugby league, soccer matches and tennis. LuxBet offers betting options through telephone, internet and mobile apps. Luxbet ceased to operate in 2017. LS Bet – founded in 2012, based in Curaçao, LSBet.com offers wagering on American football, Aussie rules, baseball, basketball, bowls, boxing, darts, field hockey, futsal, golf, handball, ice hockey, martial arts, motor racing, pool, snooker, soccer, table tennis, tennis, volleyball, water polo, entertainment and awards. JetBull – a good bookie, worth trying. Bet Boo – BetBoo is an online bookmaker focusing on Turkey and Brazil as its two key markets. Bet 365 – Founded in 2000, based in the UK, Bet365.com is one of the world’s leading online gambling providers, with over 7 million customers in more than 200 countries. BetWay – Betway’s Sportsbook offers players over 30,000 sports betting markets, with a wide range of markets available live and in-play. Customers can follow the latest action from Football, Tennis, Cricket, Golf, Rugby and Boxing, as well as other niche markets such as Handball, Ice-Hockey and Winter Sports with competitive odds, offers and moneyback specials throughout the sporting calendar. Customers can bet online or on their mobile device with the Betway’s Sports App, available for Android and also through the Apple Store. Superior loyalty rewards and exceptional customer service is an integral part of Betway’s player offering, with support offered in 17 languages 24 hours a day, 7 days a week. iPlay8Casino Sportsbetting – iPlay8Casino.com is the first Tanzanian online casino. It used to offer online sports betting until their site was taken offline. SupaBets – one of the new Tanzanian betting sites started in 2015, SupaBets is growing rapidly, offering odds on a wide range of sports, with soccer being the most popular. Check out their offers. BetHam was one of the latest operators to join the Tanzanian betting arena, however, as of December 2017, their site BetHam.co.tz appears to be offline. Defunct? Obviously, there is no such thing as a “best” or “complete” list of all good sportsbook sites on the Web. 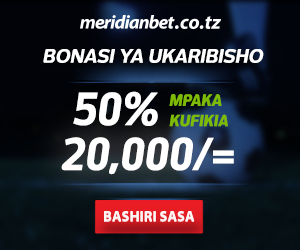 Still, this page hopefully gives you a proper overview of some of the best sports betting websites that accept new users from Tanzania. Good luck!